Before being selected as an EUC champion I was already planning a bigger guide on how to design and implement a feature rich and enterprise ready VMware Horizon environment (Check out my opinion about the evolvement of VDI solutions over the years). In 2017 VMware is putting more and more effort into transforming the enterprises into digital workspaces with their Workspace One solution / initiative. Within Workspace One VMware combines Horizon with Airwatch technology (for device management and application delivery). Since my homelab has been a little bit underutilized over the last months I decided to built up an Horizon environment , including most of the Software pieces of Horizon Enterprise. Lucky me: VMware has just announced Horizon 7.2 which finally includes a new help desk tool to deliver faster 1/2nd level support to our (beloved) users. My goal of this series is not just to have a simple implementation guide. I want to give a guideline about important things from an architectural point of view as well. What are the dependencies for a solution? Which design decisions can be made? Who do I need to involve in such a design decision? What do we need to achieve an economic level of security, availability, recoverability, performance, scalability and manageability? What to we need to do to maintain the feature/product? Which technical constrains do I see with a specific product? Everyone who worked in a VDI or EUC project (or joined my Horizon Design classes ;-) knows how complex this projects can get. Legacy solutions, people or processes can break your neck. 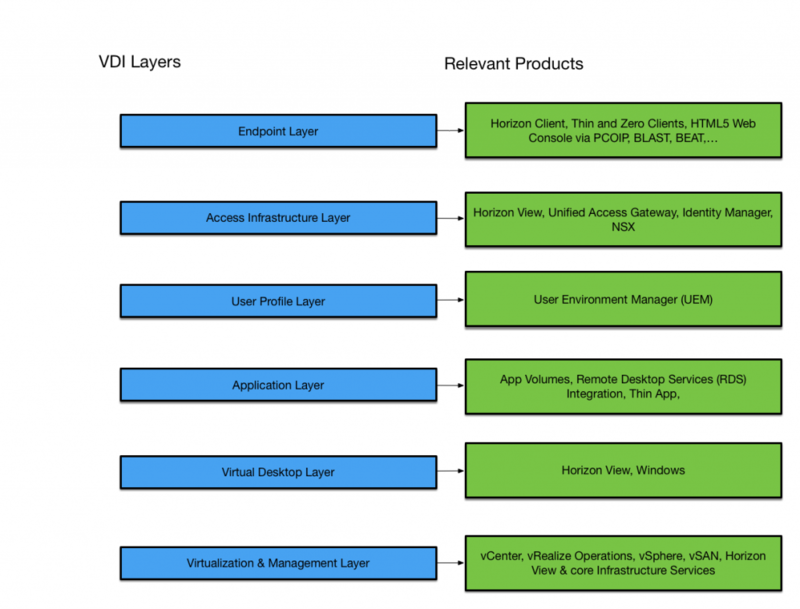 An EUC design methodology is quite useful and necessary. Putting the User and its use-cases into the middle of the solution is quite important. Figuring out not just the requirements but also the constraints within the an environment is IMO even more important. After my opinion on those topics I am going to create an implementation guide on howto implement the logical design. New sections of my session are planned to be released on a weekly cycle. If you want to give any kind of feedback or have wishes on specific topics. Please let me know.